When one hears the name Davy Jones, a fearsome half-man, half-creature with a face covered in tentacles who captains the ghostly Flying Dutchman might come to mind. Thank you, Disney, for that creative vision of one of the most well-known and time-honored legends of the sea. The real Davy Jones, however, is far different than the character from Pirates of the Caribbean. 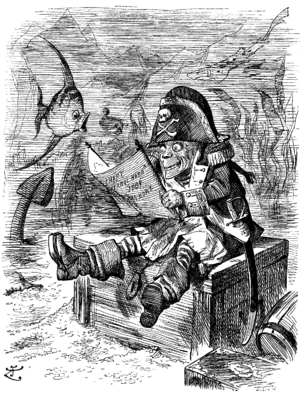 Myths about Davy Jones are almost universal among sailors; most of them point to the belief that he is more of a spirit who haunts the seas than a real person. Indeed, he is the essence of death at sea and his “locker,” or the sea floor, is the hell where drowned sailors and sunken ships were damned for eternity. He is the embodiment of a sailor’s deepest, superstitious fear. Yet, despite the agreement on what Davy Jones is, it is not entirely clear how his legend was born.